Striata Spotlight Insights What is your mobile billing strategy? What is your mobile billing strategy? 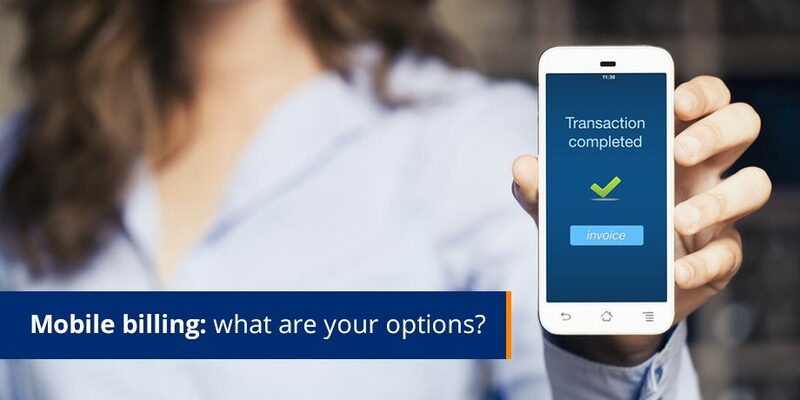 With so much hype around the influence of mobile devices on eBilling and eDocument Delivery, along with the significant increase in Smartphone usage, the following question arises: which technology should you invest your resources in next? In this month’s edition of eBilling Insight we discuss what your options are when considering billing in a mobile environment. In October 2011 Nielsen reported that 43% of US mobile phone owners have a smartphone, rising to over 50% by year end. More access to the internet and email via smartphones means a greater opportunity to communicate with customers. But in which channels? Your existing web portal (a frustrating experience on a tiny screen), a mobile optimized website, mobile app, SMS or email? Billing in a mobile environment, what are your options? How many unique customer visits per month does your existing website get? How many customers have enrolled to view and pay bills (and other documents)? If your website was optimized for mobile billing, how many more customers would go paperless? This option can be expensive to develop and maintain, particularly as your main portal and payment options continue to evolve. Where do you draw the line in terms of what functionality is included on your mobile site? Customers will be asking, “Why should I download this app?” Billers will be asking, “How many customers need to download the app and agree to go paperless to break even on the development and continuous updates, as Android, RIM and iOS mobile operating systems change?” It’s a tough ask to achieve ROI on paper suppression and electronic payments alone. SMS has long been a highly effective channel for important alerts like “You are about to go past due” which shortens your payment cycle and reduces collections, but it is not suitable for bill presentment. Its 160 character limit is not an acceptable replacement for paper. In the US, it’s also extremely expensive to collect mobile phone numbers. Plus getting customer consent is challenging as they are charged to receive these messages. The one common denominator across all smartphones, tablets and computers is email and the majority of them can open encrypted PDF attachments. Regardless of the device they are using when the email bill arrives, customers can access it immediately. Once downloaded to their smartphone, they no longer have to be connected to the internet to decrypt and view their bill. This eliminates the frustration of slow 3G speeds and dead zones. 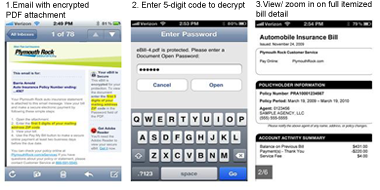 Below are screenshots of a Striata Secure PDF bill delivered to an iPhone via email – simple, intuitive and immediately accessible. In terms of the best ROI, I suggest email is the best option – here’s why: email addresses are far easier to collect than trying to convince customers to download an app or register online for paperless options. You may already have email addresses for marketing and notifications, or from customers that have made 1-time payments on your website or through a 3rd party. How effective is your mobile billing strategy?